My GDC coverage started out with a hands-on preview of Falcon Age with Chandana ‘EKA’ Ekanayake, the co-founder and Studio Director for Outerloop Games. As a first time GDC attendee, I don’t think you could ask for a better way to start off the festivities than with EKA and Falcon Age. 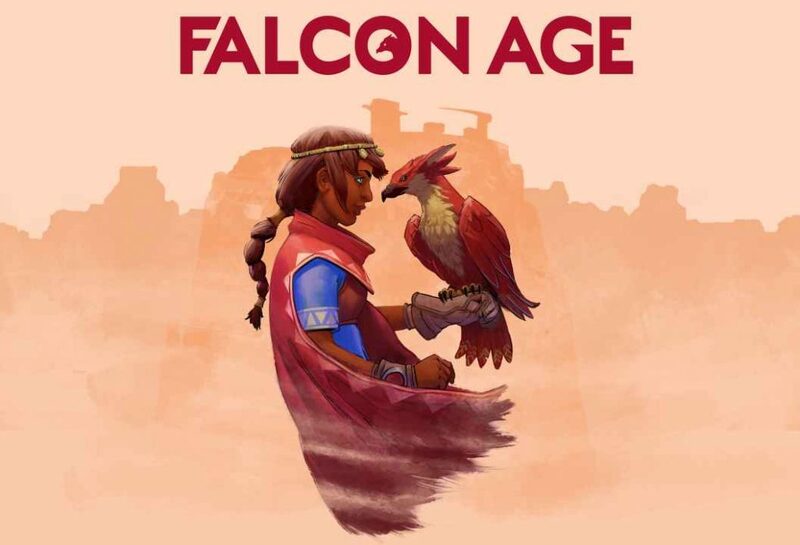 Falcon Age is a first-person action adventure game that is coming to PS4 with optional VR support on April 9, 2019. At my GDC preview, I was given the option to try the game in either standard or VR. I chose standard so I could better interact with EKA. 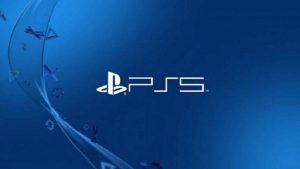 The game takes place on a dying colony planet that has been ravaged by machines who are destroying its resources and culture. You step into the role of Ara who has been wrongfully imprisoned for a misdemeanor. As she awaits her fate in a lonely jail cell, she befriends a baby falcon. 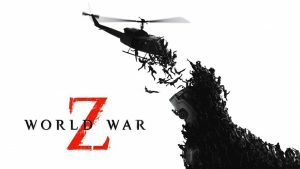 The two miraculously escape and embark on a journey to reclaim their freedom, land, and identity. Ara turns to her aunt who teaches her the nearly forgotten ancient art of falcon hunting. Something that Outerloop Games took very seriously by employing the help real life falconers to help with the falcon’s movement and behavior. 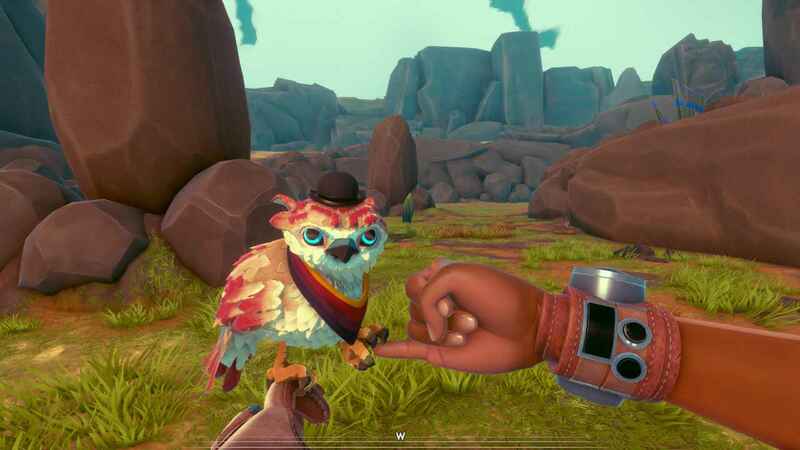 Despite the adorable interactions and fist bumps Falcon Age doesn’t strip the bird of its natural predatory behavior which is evident the first time you attack a rabbit. Once targeted the falcon will grab the rabbit and soar high in the sky before slamming the animal fiercely to the ground. Ara is armed with a stun baton that felt kind of like wielding a whip. Combat can be executed by melee with the baton, or by commanding the falcon. 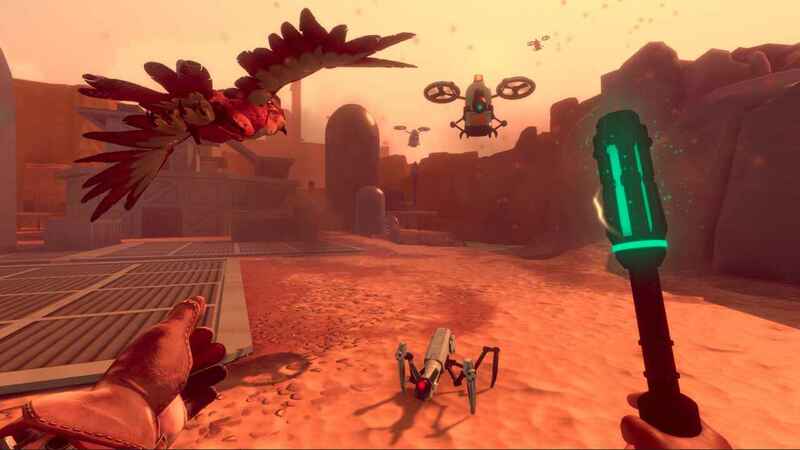 At times, you will need to use both the bird and the baton to take out some of the bigger robots. Ara and the falcon form a bond that surely transcends on to the player. I mean, how can you not fall in love with a bird that you have virtually raised, named, fed, and even dressed up. Falcon Age features several hats, scarves and other items to dress your falcon up in. While most are pure fashion statements, some actually give the bird special abilities. Along the way you will hone your crafting and hunting skills which helps strengthen you and your falcon so you can reclaim robot occupied locations. Once liberated, you can start rebuilding your community. On the surface, Falcon Age might come off as a cute pet simulator. However, underneath there is a powerful message that teaches us that the only way to defeat the impending robot revolution is by embracing our diversity, past, and human nature. I had the pleasure of running into EKA again a few days after our initial meeting on the GDC floor near the PlayStation booth. 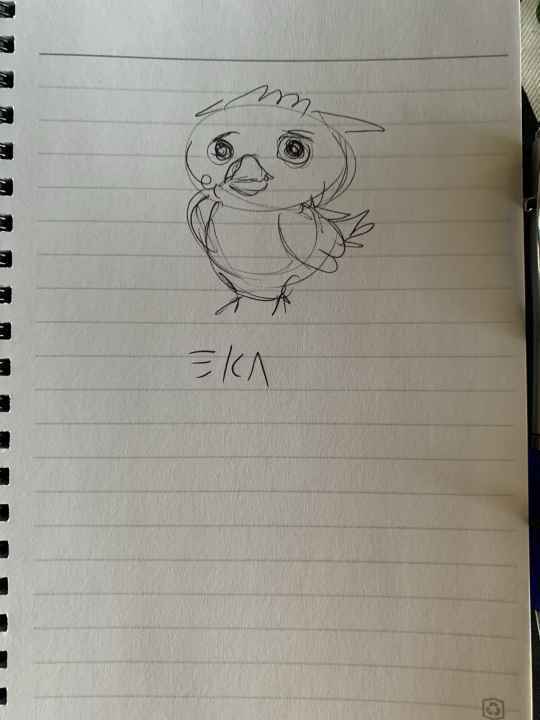 He drew this lovely sketch of the falcon for me. Thank you EKA, and Geneviève from popagenda for setting the hands on preview up.